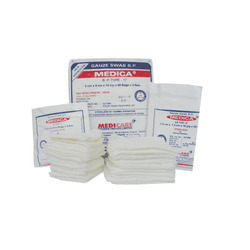 Prominent & Leading Exporter from Ahmedabad, we offer surgical gauze. We are leading manufacturer and exporter of Surgical Gauze Swab. These are broadly utilized as a part of Hospital, Clinic and Surgical Dressing Manufacturers Industry and are stringently checked with the guide of 90 clustering and review machines all through the creation stage.